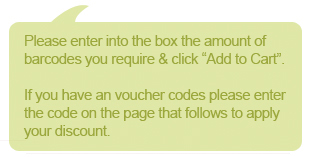 Don't leave without claiming your 25% discount off your first barcode order. 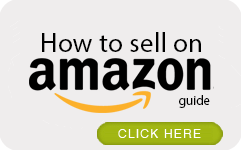 Do you need a Custom quantity? 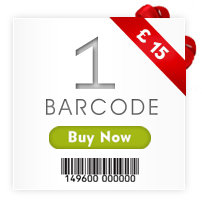 Buy 100 Barcodes for only £4.00 each! Buy 200 Barcodes for only £2.45 each! Buy 300 Barcodes for only £2.00 each! 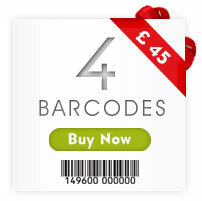 Buy 400 Barcodes for only £1.70 each! 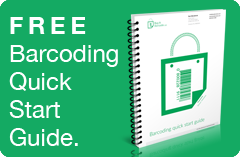 Buy 500 Barcodes for only £1.50 each! 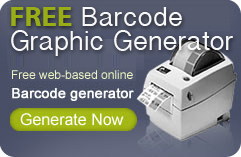 Buy 1,000 Barcodes for only £0.83 each!